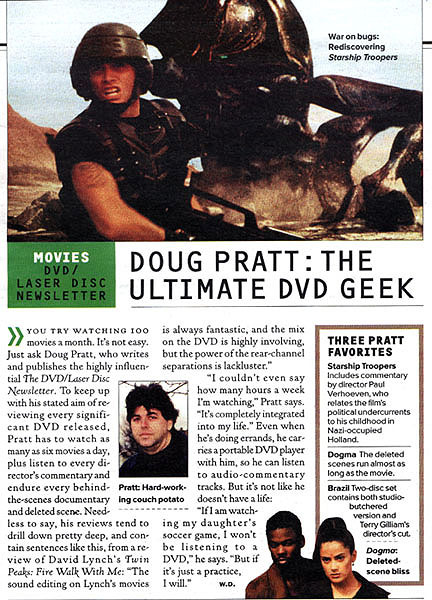 Click here to subscribe to The DVD-LaserDisc Newsletter! 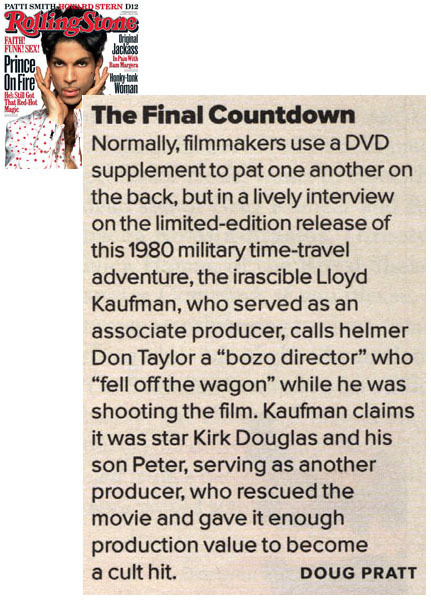 Check out Doug's mini-column in every issue of Rolling Stone. 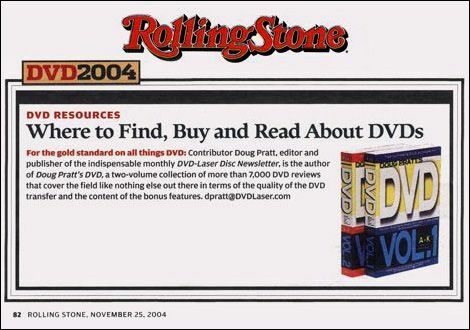 Check out the profile of Doug in Rolling Stone (October 17, 2002 issue, p 44). Click here to read the article. Get reviews via email! Sign up for the FREE DVD-Laser mailing list! For a Free Issue of the newsletter, email doug here. Sign up for the FREE DVD-Laser mailing list! Check out Doug's top 400 DVD picks!